After many long years of renting, you may be feeling a little more than excited to own a home of your very own. You’ve been saving for this for a long time and finally know that your dream home is just within reach. In all the excitement, however, you may find yourself with questions. What are my options? Should I buy an existing property or build my own? While either route will ultimately lead you to home ownership, it is always best to explore all opportunities. Here are the pros and cons to buying or building your dream home. Convenience: The convenience of buying an already existing home is definitely a pro for the buy category. This factor allows you, the buyer, the simplicity of shopping around, picking out a home, making an offer and moving in shortly after closing. Although there are other steps involved in the process, buying allows you to move into your new home quickly which is a big draw for some buyers. Cost: In many, but not all cases it is typically cheaper to buy a home then it is to build one from scratch. The cost will vary, however, depending on the type of neighborhood you want to live in, target real estate market and other demographics. Conventional: Moving into an already well established home and neighborhood is another pro for the buying column. If you have a specific location in mind or are looking for a home near work/school, it is likely that you will have more opportunities to buy a home than it will be to buy a lot. Easy to Envision: Lastly, buying a pre-existing home allows you to truly envision yourself and your stuff there. It allows you to visualize the final product in real time over envisioning plans from the drawing board. Not EXACTLY what you want: Maybe you love your new home but hate the floor plan or the layout. These things cannot easily be changed and may have you regretting your decision to buy instead of build a home to your exact wants and needs. Cost: It’s hard to find an existing home that has exactly what you want. Repair, remodeling, and decorating costs should be factored in when deciding if you want to buy. Remorse: Perhaps you’ve purchased an older home and no longer find its quirks charming now that you’ve moved in. Remorse may leave you wishing you had built instead of bought. Get exactly what you want: This may be the overall biggest draw to future homeowners looking to build. Building a new home gives you the excitement factor of a blank canvas and everything from the carpet to the cabinets will be designed by YOU. Efficient: Since your home will be new, all of your products will be new including your HVAC, insulation and air filtration systems. Everything will be up to date with energy codes and running more efficiently than amenities in most existing homes as well. This could in turn, save you money on your monthly utility bills. ROI: While the cost may be higher for building a new home, your return on investment could be larger than expected. New homes go for more than existing homes on the market, so you could turn a significant profit should you ever plan to sell your home. Also a newer home should require less repairs and maintenance and will allow you to skip the renovation projects and additions saving you big bucks later on. Satisfaction: Building a brand new home that is your very own will leave you with a level of emotional pride and satisfaction that you wouldn’t normally feel from buying. 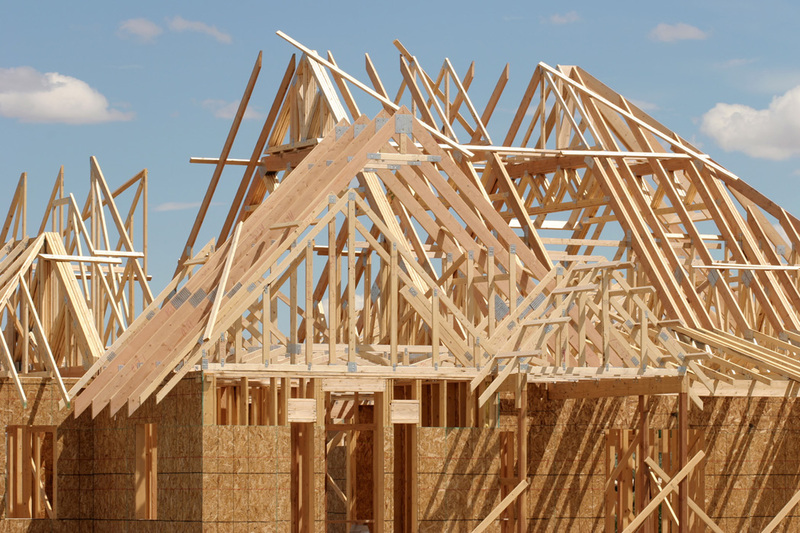 Cost: The high costs of building a home can be a drawback to buyers. If you do not have a reputable builder or a fixed budget, things can get out of hand leaving you with a money pit and without a dream home. Investopedia.com recommends using a lump-sum budget over a cost-plus contract to avoid unexpected price increases. Timeframe: The long, drawn out time frame of building your home can also be a major drawback. Make sure you have a contract with your builders revolving around a set time frame and avoid any open-ended deadlines. Frustration: Added together, costs and time frame can make for a frustrating homebuilding experience. There are also other factors involved including getting construction loans & permits, legal considerations, and the added stress of moving and paying for both your current housing and the building costs as well. In the end, both of these options ultimately depend on buyer wants and needs and what is right for you.